When it comes to writing well, grammar is a very important component. Your writing needs to be clear and readable, and grammar is the element that makes your writing just that. 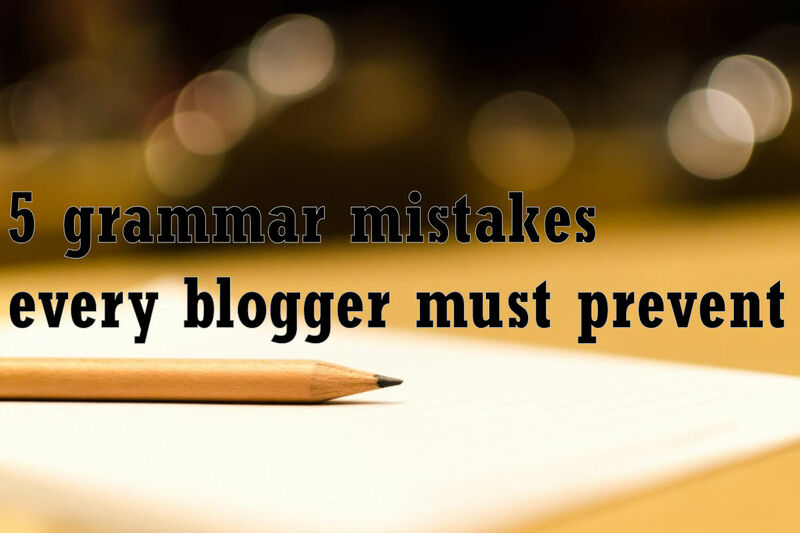 But when you are a new blogger or just starting to get into writing, your grammar may not be as awesome as you would want it to be. Your sentences may be choppy or they may be fragmented. Or you may be using certain words incorrectly. But since you are just getting back into writing, you probably don’t remember how to fix all the grammar mistakes you made. “Why didn’t I pay more attention in school when I was younger?” you probably say after proofreading your horrendous writing. That’s the exact thing that happened to me. I recently went into my archives and checked out some of my older articles and, boy, were they hard to read. Aside from the lack of flow of the paragraphs, there were so many grammatical errors. The mistakes ranged from incorrect word use and spelling to sentence clarity. They were absolutely terrible! Comparative: He is taller than me. Superlative: He is the tallest player on the team. Comparative: He runs faster than me. Superlative: He is the fastest player on the field. So pay attention to your spelling when you are writing. You may be spelling adjectives and adverbs incorrectly. In a sentence, the subject is what or who the sentence is about. It is a noun or pronoun that, the majority of the time, is in the front of the sentence. A verb is an action that the subject takes. So for example, if I write, “Donald writes an entire movie,” the noun “Donald” is the subject, and the action “writes” is the verb. But what makes this element of grammar confusing for some is that you have to take into account singular (one) and plural (more than one) words. So if I use a singular subject, then the verb also has to be in its singular form (the example above is in singular form). But if I use a plural subject, then the verb has to be… you guessed it right: plural! Example: John and Jane walk across the beach. Notice how the verb in the singular example had an "s" at the end of it, while the plural example did not? This is because the singular form of verbs doesn't end in an "s" and plural forms of verbs do. Run-on sentences are clauses that are not connected or punctuated correctly. They look like two sentences in one but are not connected properly. Steve didn’t want to read he just wanted to sit around and look at the sky. Do you see what’s wrong with this sentence? There are three ways you can fix it. The first is add a conjunction. These are words such as and, but, or, so. The second way is to add a semi-colon (;). The third way is to just add a period and make two sentences. Steve didn’t want to read. He just wanted to sit around and look at the sky. You may have noticed that I didn’t add any methods involving a comma to fix a run-on. The reason is that if you use a comma to fix a run-on, it becomes another grammatical error called a comma splice. Maybe it’s just me, but it feels like a lot of people don’t know how to use commas correctly. A lot of them add a comma when they feel a break or pause is needed in the sentence. But this is wrong. There are specific times to use a comma. If you are still confused as to when to use a comma, click here to read my post on punctuation. Sentence fragments are sentences that are missing crucial parts of it, such as a subject or predicate. For example, if I say “went to the gym with me,” you wouldn’t know who went with me. This is a fragment because it just tells what a potential subject is doing without letting us know what or who the subject is. If I were to say, “Tommy and the tree,” you wouldn’t know the point I was making or the message I’m trying to tell. Yeah, I’m telling you who the sentence is about, but what about it? What did they do? You need to make your sentences are complete or no one will understand what you are saying. So keep that in mind when you are writing. So there you have it. 5 grammar mistakes that you need to pay attention to when you are writing or proofing. 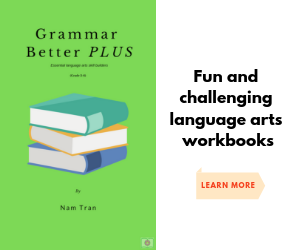 If you want more tips on how to improve your writing, I have a book, Grammar Handbook for Bloggers, on Amazon Kindle that will help you do just that. Click here to check it out. P.S. You can also go through my older articles on grammar. They’re pretty useful too. Also, please share this article with someone who needs help with this topic. Pretty please? Thank you! I hope it does. I love grammar and it always kind of came naturally to me. But I still get stuck sometimes on some of the rules. A great way to improve your grammar is do loads of reading. Great post! Great information. thanks for sharing with us! Thanks for the grammar refresher! The commas always trip me up, I still don't have a good grasp on them. Yes, commas can be confusing. But I hope this article cleared up some of that for you. I'm sure I am guilty of some of these tips for bloggers. I try to do the best I can with Grammarly. Yeah, Grammarly is a great resource. I actually use it all the time lol. Run on sentence and fragments definately applies. Love your style of writing. I am not a stickler for grammar in general though. If your content helps people, I don't think the grammar will prevent them from reading your site. English is not the first language for many people. However, this list is awesome, it will help satisfy some grammar police. I absolutely agree. As long as the content is helpful and can solve problems, the grammar isn't too important. But having good grammar does make the article easier to read. And thanks for the comment and kind words! Thanks for the great informative refresh post on grammar. It is very important while writing a blog! Great post. Thank you! I'm glad it helped.